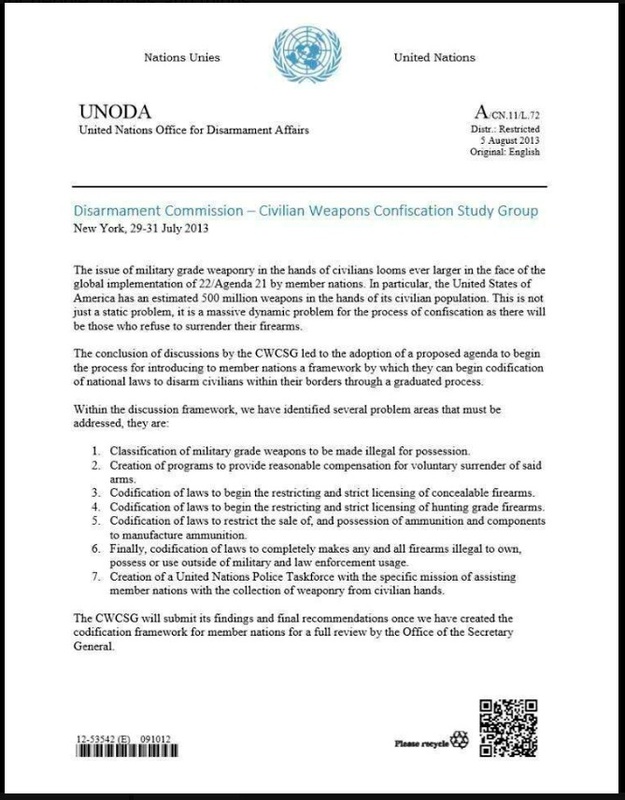 The United Nations Office for Disarmament Affairs has released on August 5th with the turn in the ECM an amazing agenda where they will assist member nations to confiscate weapons from civilians. Who is behind this would be very interesting to find out. Effectively, there seems to be an agenda to disarm the people that can only be to cut off revolution. They will certainly not be disarming criminals. This will apply to registered guns. Given Obama has been buying up all ammunition and tried to ban guns under the pretense of making the streets safer when it is the criminals with the guns that this would have no impact upon, this constant effort to eliminate guns from the public seems to be a very high agenda. We can only ask why? Clearly, agreeing to UN sanctions sidesteps Congress and the American People. Using UN foreign troops on American soil is another very strange agenda.